Are you ready to add extra pop to your next party or get together? 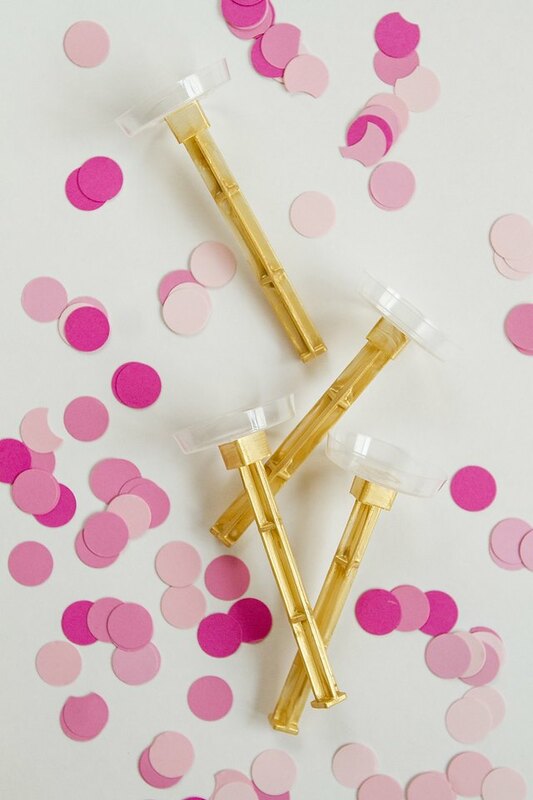 These confetti poppers are just the bit of excitement your celebration is needing. Using pastry tubes, these poppers are surprisingly easy to make and provide a lot of fun for party guests. 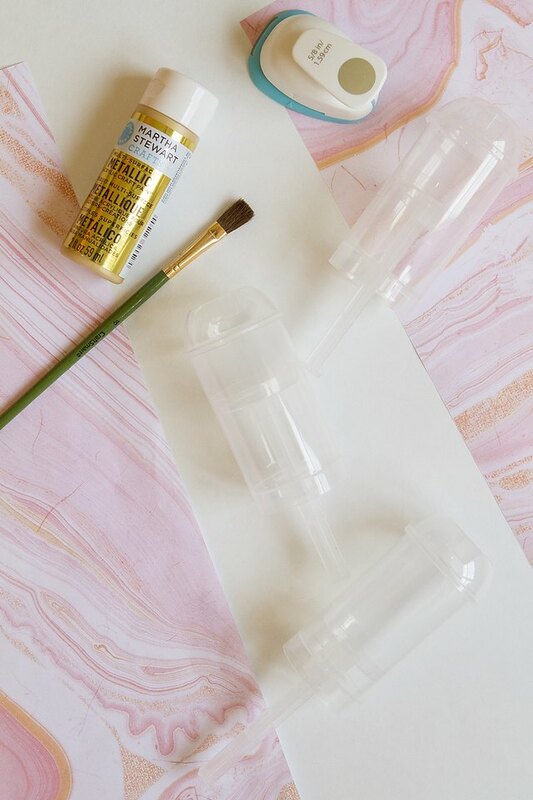 Dress up the pastry tubes by painting the handles and the lids. Simply remove the handles and lids and paint in your desired color. 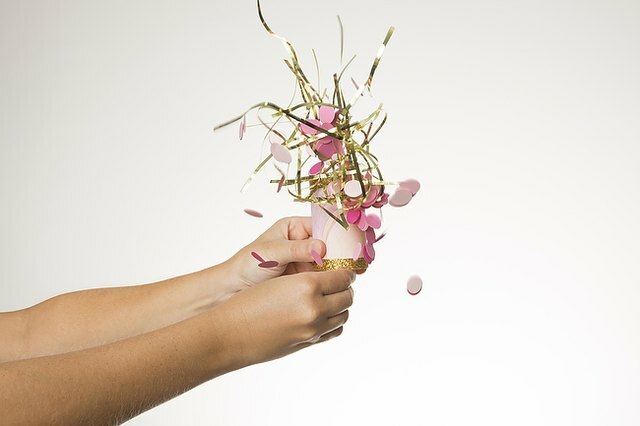 While the paint is drying, make homemade confetti for your poppers. Choosing multiple shades of the same color will give your confetti extra pop! 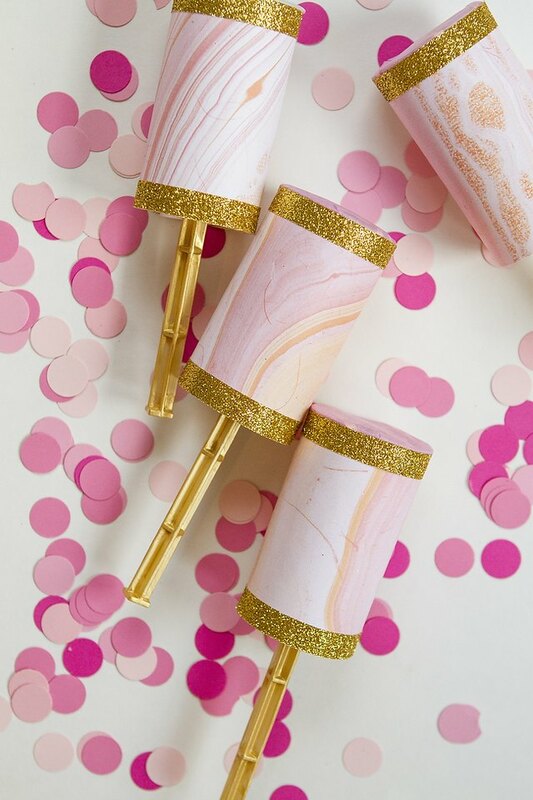 Once your handles have dried, fill the tubes with your homemade confetti. 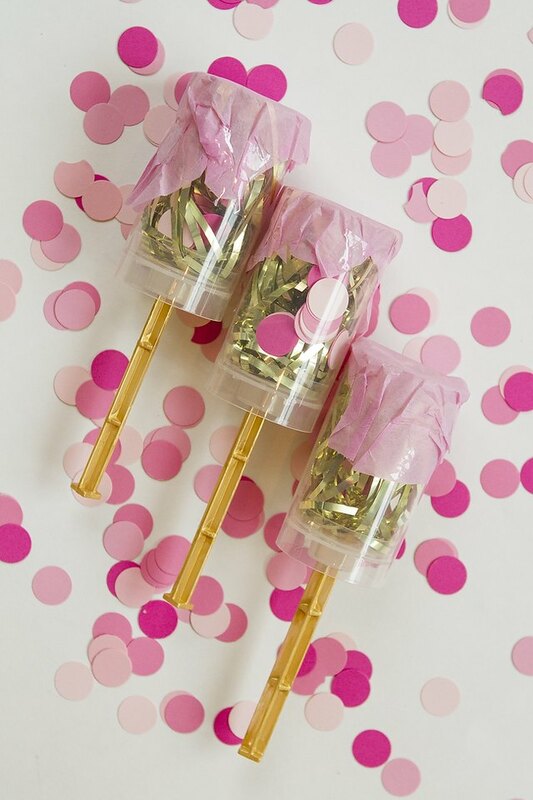 Tape a thin layer of crepe paper over the tops of your confetti poppers. The crepe paper is simply there to keep the confetti in place. Rather than using the plastic top that comes with the pastry tube, the crepe paper makes it easier for the confetti poppers to explode. Don't worry about how the crepe paper looks, as it will be covered over in the next step. Using patterned paper cover the outside of your confetti poppers. 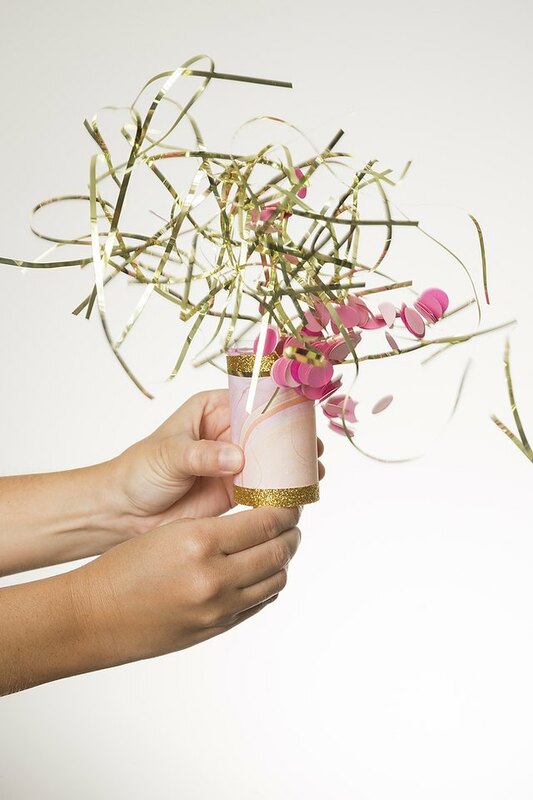 This helps to cover the crepe paper and creates a more elegant looking confetti popper. 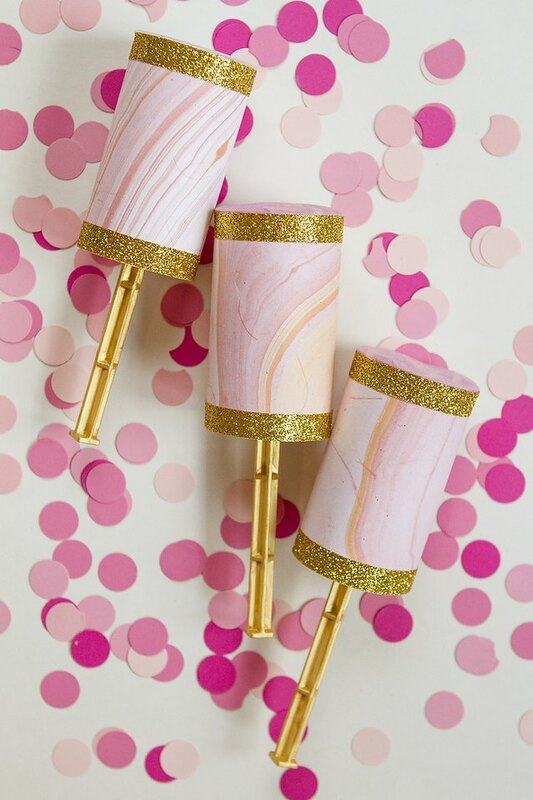 Add a bit of colorful or glittery washi tape to make your poppers really stand out! Put Your Poppers To Use! 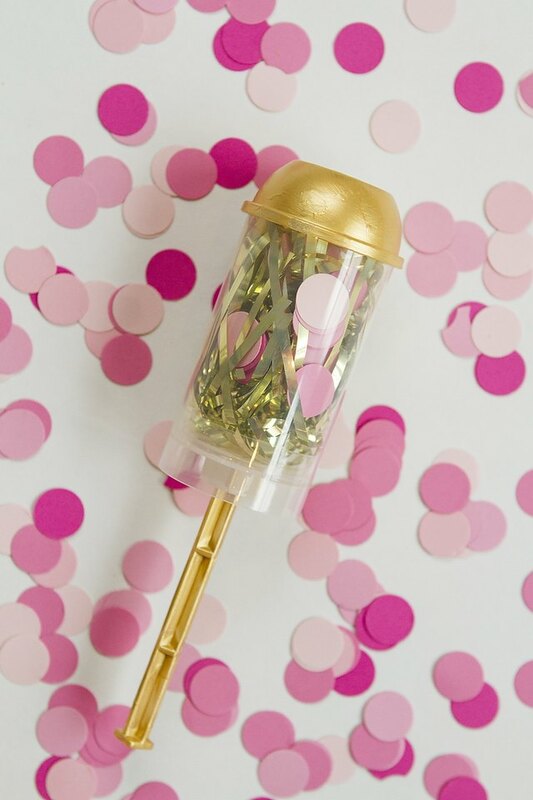 These party poppers make a great addition to birthday parties, New Year's Eve parties and even weddings. 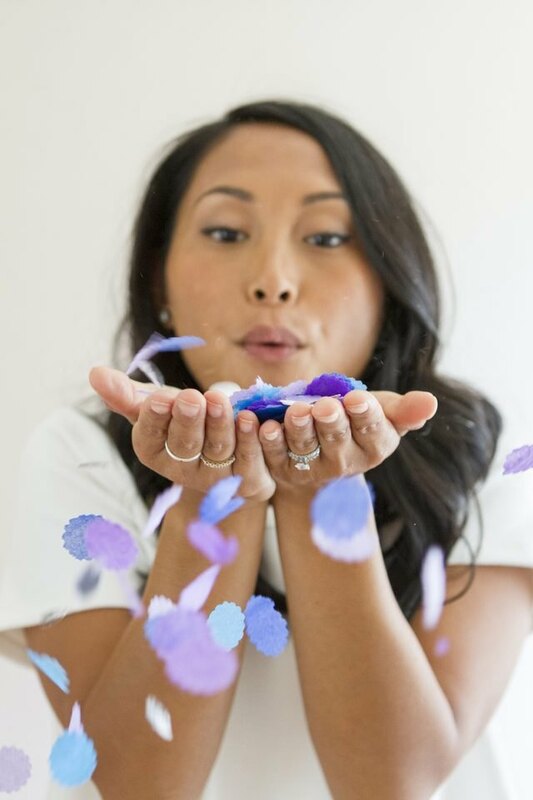 Mix up the colors of your confetti to match different holidays. 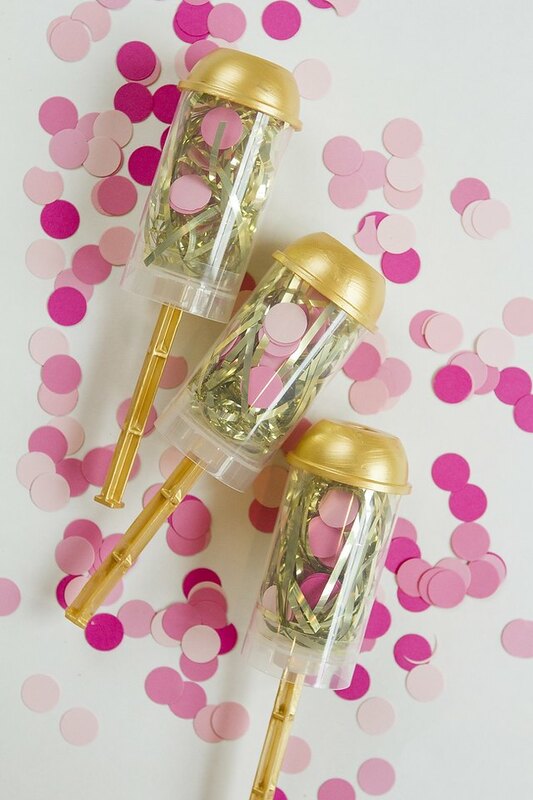 There are so many fun ways to incorporate these confetti poppers into every event! 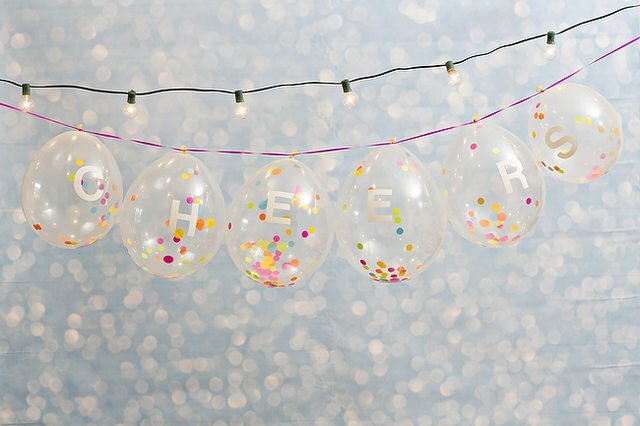 Create a one-of-a-kind banner using confetti-filled balloons. Add adhesive letters to spell out your word of choice, such as "CHEERS." Click here for instructions on how to make your own. Make homemade confetti in custom colors and prints in no time at all! Click here for the tutorial.